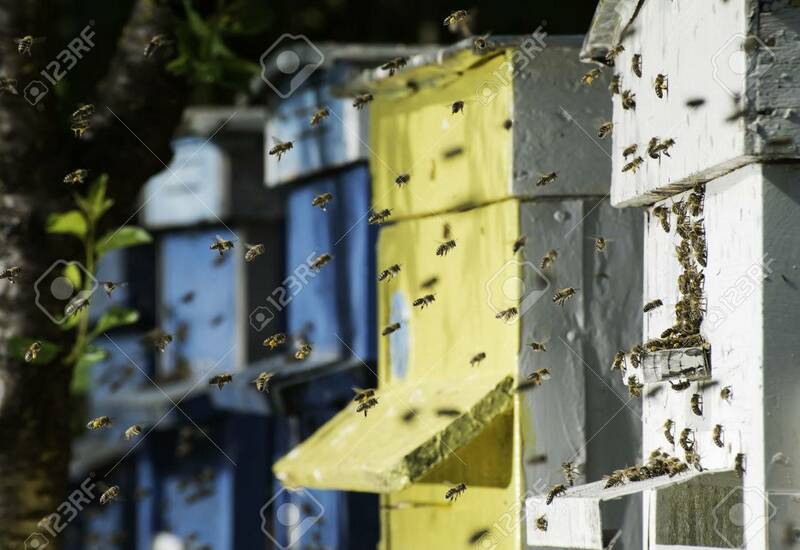 Swarm Of Bees Fly To Beehive. Sun Light Stock Photo, Picture And Royalty Free Image. Image 27924840.